My passion is to help Salon and Spa Professionals reach their full potential through support, accountability and empowerment. Guiding motivated salon owners to their BEST LIFE is my commitment on this journey. Jynelle is a salon owner and business coach who has been in the salon industry for over 24 years. 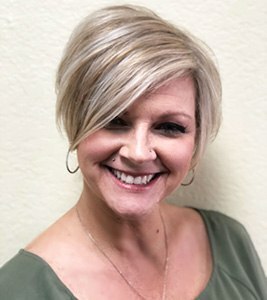 She turned a non-profitable salon into a thriving, profitable business by making major changes to the compensation structure, increasing retail sales, and pre-booking client appointments – all achieved by implementing the Inspiring Champions systems. She has decreased her hours behind the chair from 50 to only 25 hours per week, while still producing higher sales.